This chapter focuses on how flows of knowledge differ from flows of information and data. It also outlines where such differences are important. We look first at the concept knowledge hierarchy and then discuss at a high level the role of information technology in knowledge management projects. The discussion then turns to examine knowledge explicitness. 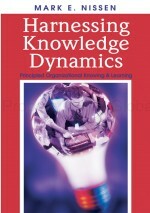 The chapter concludes with five knowledge uniqueness principles, including exercises to stimulate critical thought, learning, and discussion.